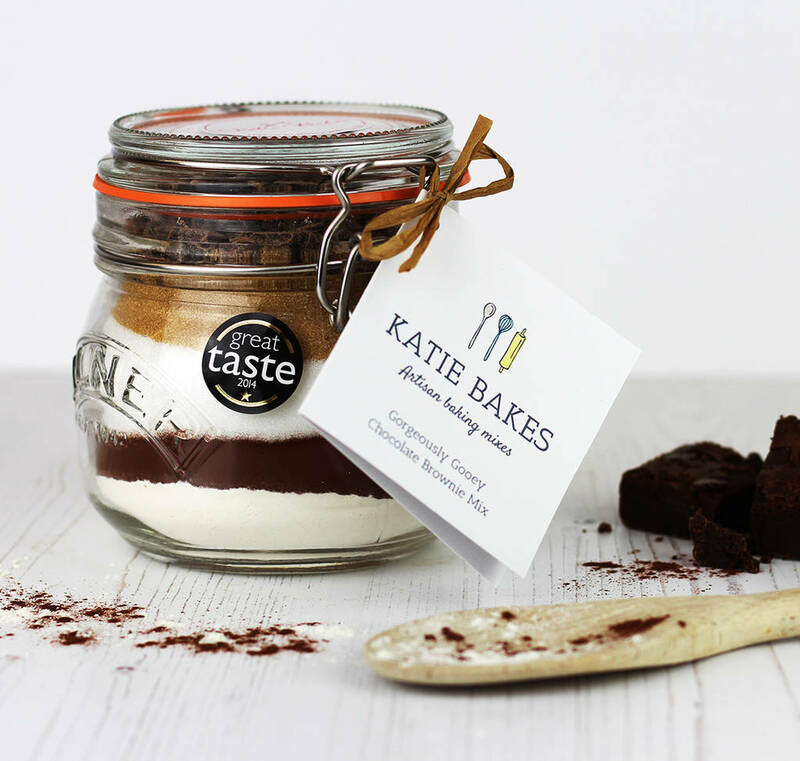 A gorgeous quality Artisan Baking Mix gift set complete with a bowl, spatula and our, award winning, Gorgeously Gooey Brownie mix jar. This baking gift set makes a perfect Mother's Day gift. 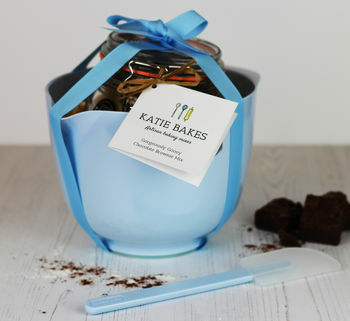 It comprises a quality 1.5 litre melamine mixing bowl and mini colour coordinated spatula with a delicious gorgeously gooey baking mix, attractively layered within a glass genuine Kilner jar, all wrapped in cellophane and tied with a colour coordinated ribbon. Perfect to do with mum or bake for her on her special day. The Gorgeously Gooey Brownie baking mix includes foolproof baking instructions and just requires the addition of melted butter and eggs. Are you sending this as a gift? Why not add a gift tag with your personal message, at no additional cost. Brownie Mix Ingredients: Flour, sugar, cocoa, dark Chocolate chunks, bicarbonate of soda, salt. Jar: H 11.5cm x W 12cm, capacity 0.5l. Mix make a 23cm square tin of brownies.